The building standards system which came into force in May 2005 introduced Certification for both the design and construction of certain elements of a building. Certification is based on the principle that suitably qualified and experienced building professionals and tradesmen accept responsibility for ensuring compliance with building regulations without the need for detailed scrutiny of design or inspections by verifiers*. Certification Schemes - How do they work? Certification Schemes are developed jointly by industry bodies and the Scottish Government Building Standards Division (BSD), within strict procedural and legal guidelines. Once fully developed they are approved by Scottish Ministers and a Scheme Provider is appointed to operate the scheme. In some cases more than one scheme provider may be appointed to operate the same scheme. Any individual or firm that meets the entry criteria can join one of the schemes and is not conditional on them being a member of any trade body or professional institution. Building professionals, such as architects, engineers, electricians and plumbers who can demonstrate they have the appropriate qualifications and experience for the role can join a relevant certification scheme as an Approved Certifier. To be an Approved Certifier an individual must belong to an approved scheme and meet rigorous standards agreed with the Scottish Government Building Standards Division (BSD). They must also be able to demonstrate an in-depth knowledge and understanding of building regulations. Certification Schemes are helping raise standards throughout the industry as work carried out by Approved Certifiers must be to a high standard and must comply with building regulations. On completion of the design an Approved Certifier will provide a certificate that is sent to the local authority verifier with the warrant application confirming that the design covered by the certificate complies with the building regulations. On completion of the work an Approved Certifier will provide a certificate confirming that the work covered by the certificate complies with the building regulations. 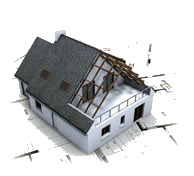 A discount on the building warrant fee can be claimed if a Certificate of Design is submitted when a building warrant application is made or the verifier is made aware at that time that an Approved Certifier of Construction is to be used and a Certificate of Construction is submitted at a later date. Click here for details. The building owner is legally responsible for ensuring that work done to their property complies with the building regulations but not everyone is familiar with the regulations. Using an Approved Certifier on a building project gives assurance that design or installation work will comply.